Okay, so it’s been an age again since I posted, in fact it was way back last year. 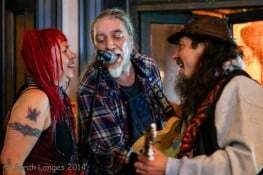 So since then, I’ve played a great bunch of Festivals, bike rallies an’ pub gigs around the country. The Some Days Are Diamonds album has sold a bunch an’ with the help of my wonderfully talented friend Drew Rivers I’ve put out a couple of videos an’ a new t-shirt design (The t-shirt is available on my merchandise page). The Christmas video was seen by over 15,000 folks, shared by over 300 folks an’ had some fine comments. Well now we’re into the new year. It’s usually quiet the first few months but this year I’m playin’ a bunch of dates with my good friend Pete Bailey from Leatherat. 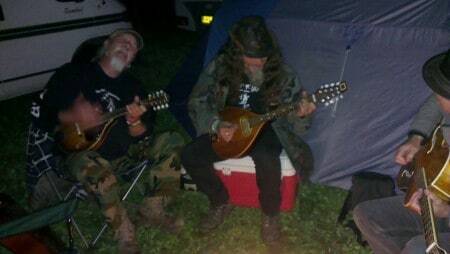 We’ve played a good few times together previously but always as one-offs when Leatherat have been playin’ the same festivals or bike shows as myself. Sometimes it’s been sat around, late night over a few drinks. 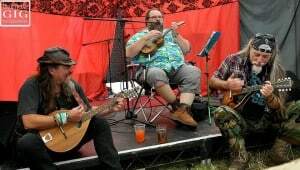 sometimes it’s been as part of somethin’ else like a uke jam an’ for a couple of years at Weyfest we opened up Sunday mornin’ on the Old Kiln stage with a ‘Hangover Set’. Needless to say (but I will), it’s always been fun an’ a good time has been had. 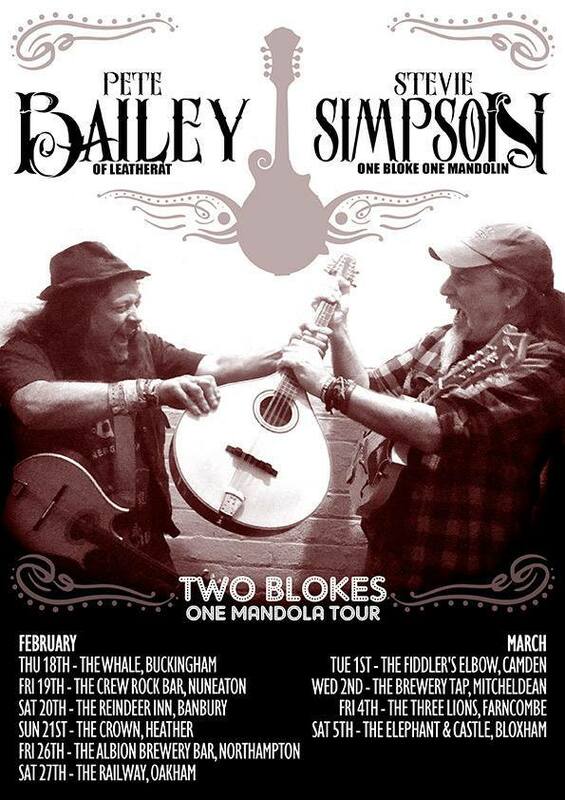 So we thought we’d take to the road for some dates over a few weeks in February an’ March. I’ll be playin’ a set, Pete will be playin’ a set an’ we’ll finish up with a set together playin’ a mix of each other songs. This being the case, most evenings will start around 8pm. We’re goin’ to mix it up as to who is gonna open which is why I would suggest you get there from the start. We’ll have a t-shirt available an’ possibly an EP (if we can find the time to record beforehand). So the dates are on the poster above, we’ll be there an’ it’ll be great to see you there.